Superstar Rajinikanth's next big movie with director Rajith is making news since it was announced. Radhika Apte, Kalaiarasan and Attakathi Dinesh are already confirmed to play pivotal roles in this movie. In the film, Rajnikanth can be seen in a rowdy role. The first schedule of the film is planned to be taken in Malaysia and Ranjith was in Malaysia to find locations. The first schedule is to begin on September 18 and the team is preparing to travel. Now the talk is all about the villain role. Earler it was announced that Prakash Raj may play villain role, later it was announced Jagapathy Babu will be the bad guy. Now a super exciting buzz that is floating around Kollywood is that Ranjith is keen on getting Sathyaraj as the main antagonist. 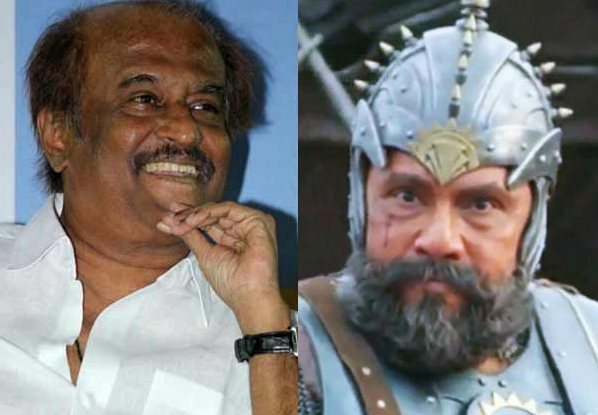 If everything goes well Sathyaraj may share screen with Rajinikanth after 30 years since ‘Mr. Bharath’ in which they both rocked.